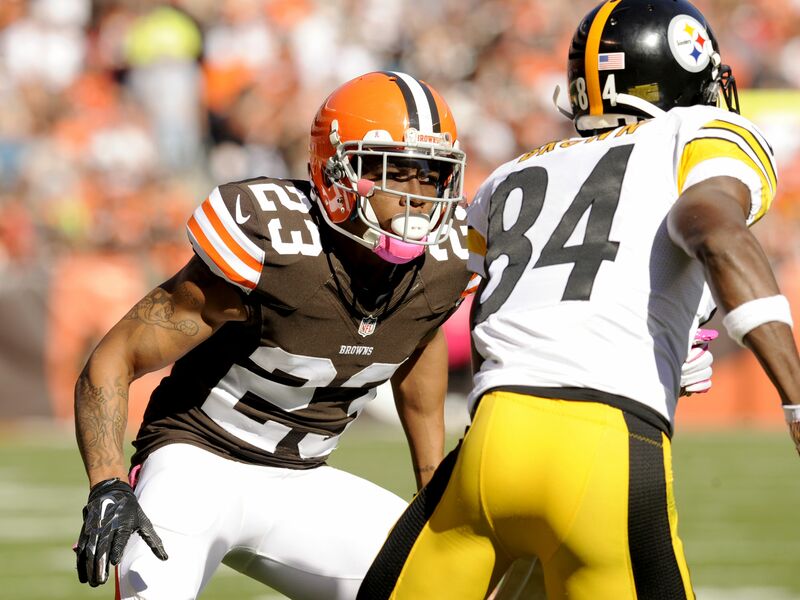 Former Cleveland Browns cornerback Joe Haden was released by the team on Wednesday morning. He is reportedly meeting with the Pittsburgh Steelers. After spending seven solid years with the team that drafted him, the Cleveland Browns decided to part ways with two-time Pro Bowl cornerback Joe Haden on Tuesday morning. Haden was the Browns’ No. 7 overall pick out of Florida in the 2010 NFL Draft. He made back-to-back Pro Bowls in 2013 and 2014. While elite in his prime, Haden’s production has waned in the last two years due to injuries. With Cleveland being in the midst of a youth movement/rebuild, it makes sense that Cleveland would part ways with Haden at this time. He does have great interest on the free agent market. Haden is only 28 years old and still has a few years of high-end football left in the tank. One team that is interested is Cleveland’s AFC North rival in the Pittsburgh Steelers. According to the NFL Network’s Ian Rapoport and Aditi Kinkhabwala, Pittsburgh is meeting with Haden tonight. Since he was released by the Browns on Wednesday morning, he will be available to sign with any team he chooses after 4:00 p.m. ET on Wednesday. Pittsburgh knows a lot about Haden, as the Steelers have had to game plan against him on the outside for the last seven years. Being able to land a solid defensive back formally from a division rival would be huge for the Steelers. Pittsburgh is likely the best team in the AFC not named the New England Patriots entering the 2017 NFL season. The Steelers lost the AFC Championship Game a year ago to New England in Foxborough. Their biggest weakness as a football team has to be in their secondary. Maybe adding a guy like Haden helps the Steelers get over the top? Though he would be playing for a team he probably disliked for the last decade, signing with the Steelers gives Haden a great opportunity to play in the NFL playoffs.